Your feet are the very foundation of your entire body. If you have neuromas, plantar fasciitis, low arches, or other types of foot problems, the rest of your body could potentially suffer. Studies have even confirmed that mysterious knee pain, leg pain, lower back pain, and hip pain commonly originate in the feet. So with that said, what’s the solution to all of this? Why nothing more than Orthotics Adelaide! The feet contain 26 bones and way over 100 muscles. It is one of the most complex parts of the body, which is why it deserves your utmost attention. It carries the weight of your whole body, after all. That reason is why you need custom orthotics, and none is better than the one we craft here at Orthotics Adelaide. While shoes are commonly made with additional cushioning feature for added comfortability, they don’t address your foot’s specific needs. That’s why you need custom orthotics to help prevent any pain you feel and aid the recovery of your feet. 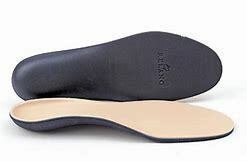 Studies confirm that orthotics drastically decrease foot pain and improve overall functioning. In addition to its supportive features, custom orthodontics by Orthotics Adelaide are much more comfortable compared to pre-made variants. The reason is that custom orthotics are made to address to complement with your unique foot structure. When you have them, you will want to wear them all the time since they allow you to stand and walk comfortably. It provides superior comfort and allows you to get more done throughout the day. At the Orthotics Adelaide, we make sure you won’t succumb to your foot problems. We make sure that you will overcome your foot issues and get you back on track that fastest way possible. Book an appointment now and let one of our specialists help you overcome your foot problem.